Epilepsy is a brain disorder resulting in seizures, Epileptic Seizures can take on many different forms, and seizures affect different people in different ways. In Epilepsy clusters of nerve cells, or neurons, in the brain sometimes signal abnormally. Neurons normally generate electro-chemical impulses that act on other neurons, glands, and muscles to produce human thoughts, feelings, and actions. In epilepsy, the normal pattern of neuronal activity becomes disturbed, causing strange sensations, emotions, and behavior, or sometimes convulsions, muscle spasms, and loss of consciousness. Epilepsy is not contagious and is not caused by mental illness or mental retardation. Researchers at Johns Hopkins University have developed an app that can track and measure seizure symptoms, and is the first research app to combine sensors on both Apple’s watch and phone. 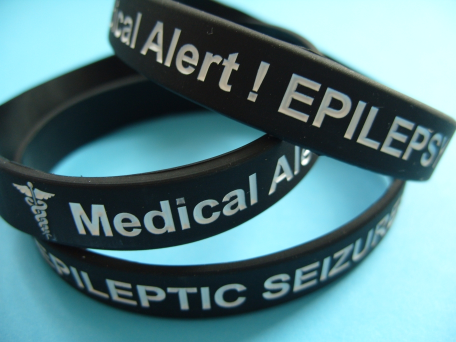 Eventually, it may run in the background and alert caregivers that a patient is having an epileptic seizure. Patients will need to activate it before a seizure starts. Many patients experience an “aura” warning of a coming seizure, which will help them turn on the program in time. Using sensors on the phone and watch, the app measures heart rate, movement and other data as the seizure progresses. The watch will also display queries designed to test whether the wearer is alert. App will let users record what type of seizure they’ve had, map them over time, and may help them figure out what may be triggering them. The app can be configured to send a text message to a caregiver when it’s activated, but can’t do so automatically right now.